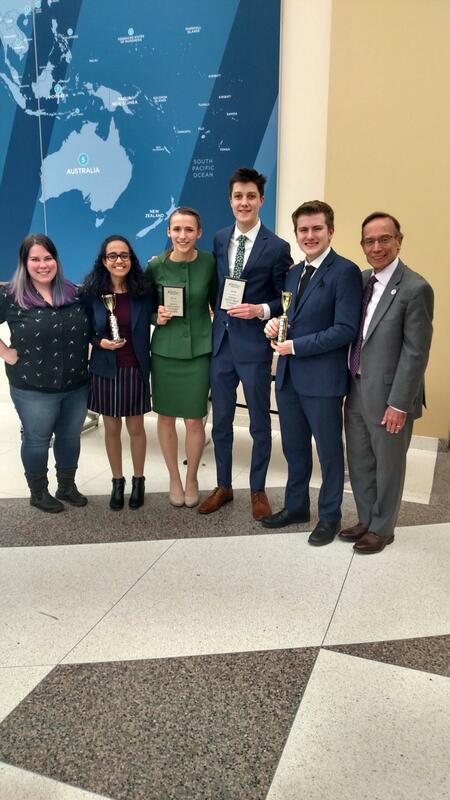 Two members of the highly recognized Brecksville-Broadview Heights High School Speech and Debate Team have qualified for the National Tournament which will be held in Dallas, Texas, in June 2019. Senior Gabby Dachtler advanced to the national competition in the category of “Dramatic Interpretation,” while Junior Ian Stewart will represent the District in the “Humorous Interpretation” category. In addition to these individuals qualifying outright, the District commends Sophomore Kenzie Mounir and Freshman Garret Travers, who will serve as alternates in the “Informative Speaking” and “Original Oratory” category, respectively. The Brecksville-Broadview Heights Speech and Debate team is advised by Head Coach Mark McCandless and Assistant Coach Kaylyn Bass. The BBHCSD congratulates these individuals on their success and wishes them well in June, in achieving this tremendous accomplishment.